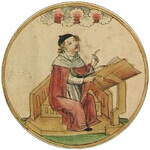 Calculations at a spherical cap (spherical dome). The calotte is the curved part of the cap. 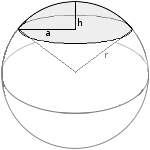 Enter radius of the sphere and height of the spherical cap and choose the number of decimal places. Then click Calculate. A calotte is the upper side of the segment without the closing circle area.